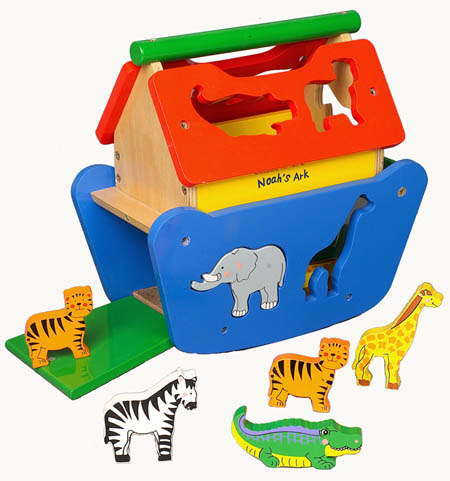 The Noah s Ark Shape Sorter will keep little ones captivated for hours. Familiar animals can be sorted, matched and walked in two by two. What s more, the animal pieces are chunky enough to stand alone for additional play value while the Ark waits nearby. Includes 16 wooden animals as shown in the picture. shape sorter in the style of Noah's Ark. Put the animals through the correctly shaped holes! Size: 28cm x 27cm x 15.5cm.